Somewhere between chanting about blurry borders and acceptance and then looking down upon diversity as invasion, threat and eventual war the world just diverged from its path. Remember the time when Saint Mother Teresa told us, “If we have no peace, it is because we have forgotten that we belong to each other.” Maybe forgotten that despite everything the one thing that should bind us all is, humanity. Re-defining the real meaning of humanitarian, Johnnie Walker released an ‘Ode to Leavos’ as a visual reminder to restore your faith in humanity. A documentary about the European migration crisis directed by Sundance Film Festival-winning director, Talal Derki, as part of the brand’s ‘Storyline’ production initiative, this story strings to your emotions and talks about the untold. “Can you really ignore what’s in front of your eyes? Because tomorrow it could be me. I could be on a boat with my family and I would like to be helped,” says fisherman Stratis Valamios, his emotions so strong, it could be strongly felt through the screen. Ode to Lesvos is a non-fiction documentary that visualizes for us the compassionate tales of islanders of Lesvos who once alone, with a mere population of 150 became the front line of the refugee crisis when thousands of humans came ashore, escaping war and scavenging for a fresh life. 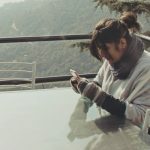 Aiding half a million refugees, voyaging all the way across the Aegean Sea, the people of Lesvos candidly share through this film that how empathy is all we need. 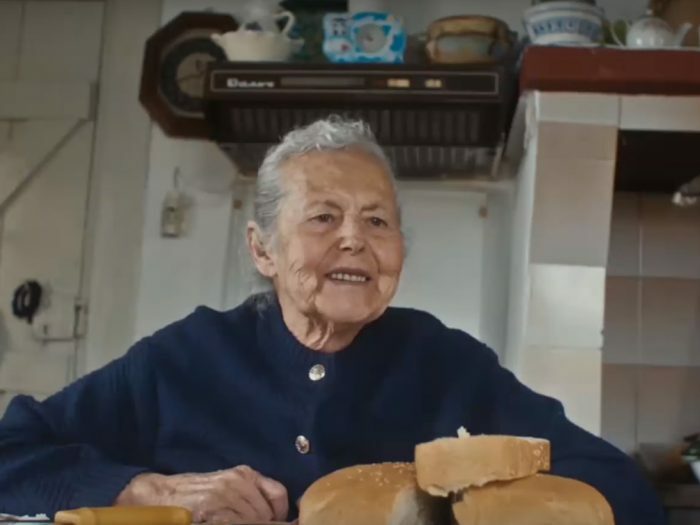 The film highlights a few people including Stratis, fisherman Thanassis Marmarinos and the lovingly wrinkled, 85 year old Aimilia Kamvisi who also became nominated for the Noble Peace Prize. As a part of the launch, the brand whose tagline suggests #KeepWalking is supporting Mercy Corps, a global organization that is dedicated to lend a hand to people around the globe to thrive and survive through conflicts and crisis. With proximity of the globe because of internet comes an awareness of the global issues that might have not reached us in the past. Cause marketing is a phenomenon that aligns the brand along with a cause to produce social benefits. These benefits lead to unison of people, creation of social value and communication for the cause. Today cause marketing is run for an array of reasons considering the varied global crisis, this aid for brands to create a character of itself with the cause they support and it somewhere helps to attract and retain customers who believe in similar causes. Through their campaign directed towards the interest of the entire globe, Johnnie Walker produced an extensive cause marketing film tagging along their tag line #KeepWalking which wasn’t customized distinctly for various countries. Johnnie Walker, to funnel such content for storyline established an individual platform titled Johnnie Walker – The Journey which presented this story with their #KeepWalking. The philosophy of this journey suggests that every journey has a beginning and an end, and in between there are fascinating stories. They believe in making the world a better place and so the brand invites people to walk through their journey where they tell stories of people’s unconquerable spirit and personal progress, from around the globe to inspire and get inspired. Reaching out through a revolutionary global initiative, the brand becomes the mediator of lesser known stories, inspiring us through social media and becoming the thread that knits the world together in such times of humanity crisis.